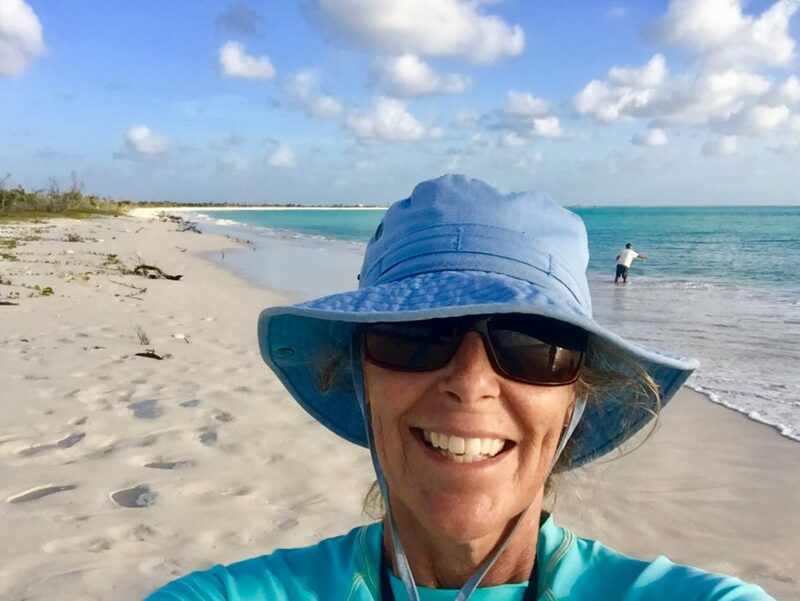 Here in Barbuda, eagle rays jump all around our boat, turtles pop up their heads every few minutes and Uncle Malcolm lands a bonefish off the back of the boat. Remarkable stuff. That just doesn’t happen ALL THE TIME. The color of the water is a brilliant blue that we haven’t seen since the Bahamas. 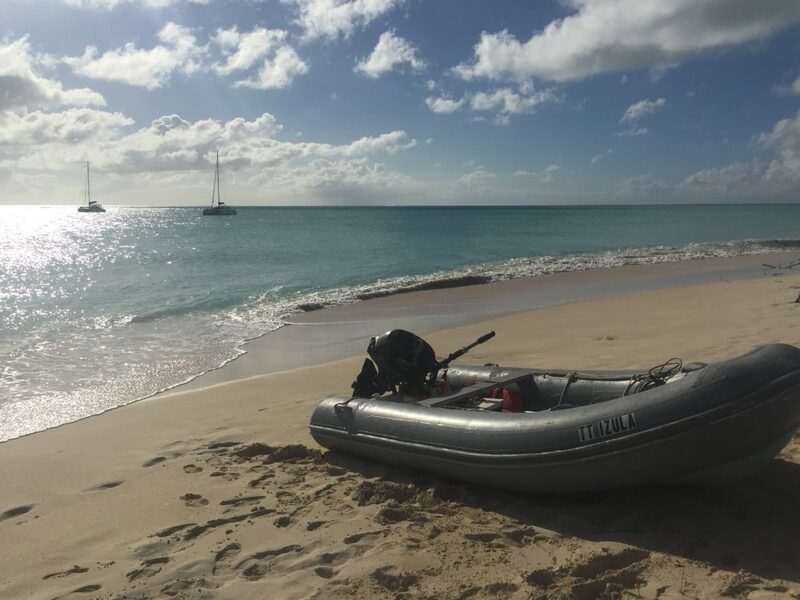 This desolate and remote little island lies about 30-miles to the north of Antigua. 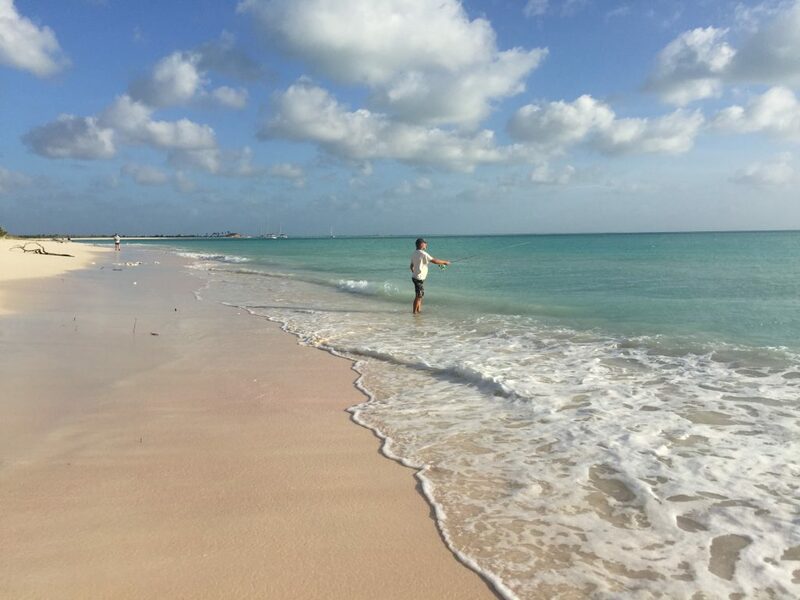 It’s famous for Princess Diana Beach where Lady Di used to take Princes William and Harry for winter breaks. 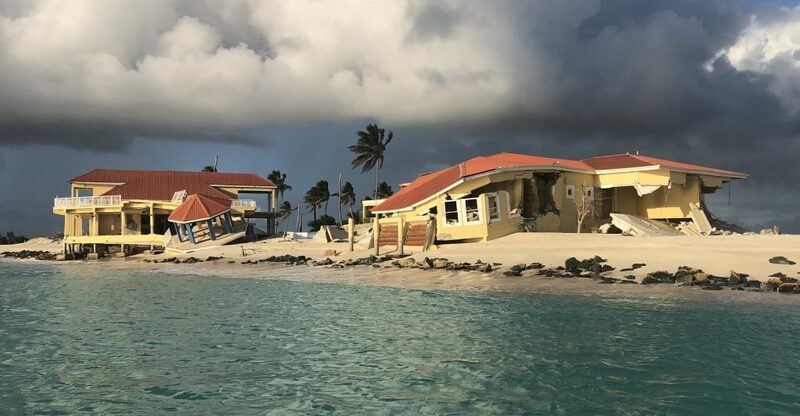 But the famed Coco Point Lodge was destroyed by Hurricane Irma and now occupied by a tent-like complex. It’s rumored that this is the start of some type of expensive re-development project for the extremely wealthy. 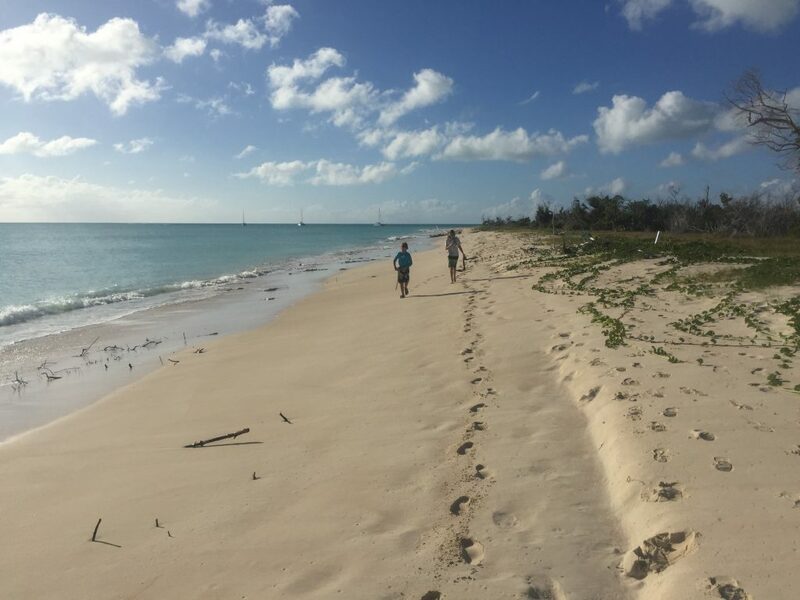 The pink sand beaches stretch for an impressive uninterrupted 11 miles in front of our boat. Ashore we walk for hours. The boys find lots of perfectly-shaped driftwood weapons and fight off an imaginary attack from the sea. 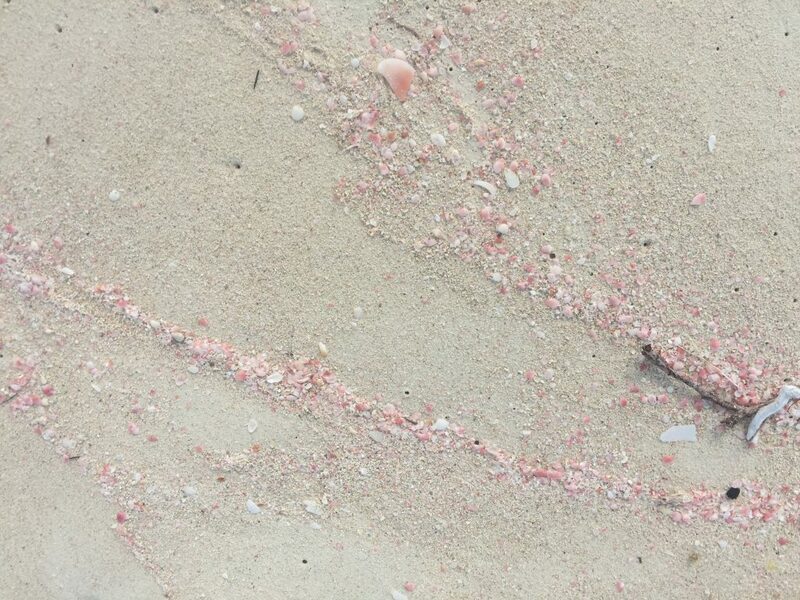 I pick up pink shells and marvel at all the crab skeletons and pink sand between my toes. So peaceful (aside from the raging battle, ha!). Without a moon at night, there was not one bit of light pollution here. The stars are so bright and amazing. There’s a massive Milky Way. Only thing above us was our anchor light… which casts a shadow that looks like a protective white circle around our boat on the water. Stargazing is awesome. We see the Southern Cross, Orion the Hunter with Sirius his faithful dog, Cassiopeia and the seven sisters of the Pleiades star cluster. Close to my heart, we also see my personal constellation of Cancer which is the dimmest of the 13 constellations of the zodiac. They say you need binoculars or more to see it, but we don’t with this stunning night sky.